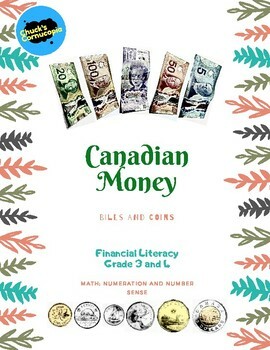 Math and Financial Literacy for your grade 3 and 4 students. This unit covers the Ontario curriculum for Math - Number Sense and Numeration. 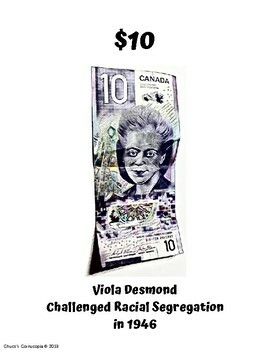 This package begins with pictures of each bill that can be printed and laminated as posters for your classroom or as visuals for group work. My other package - Primary - in my store has images of coins. 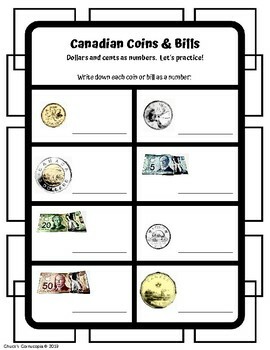 Students will focus on relationships between coins and bills and the various ways they are represented. Simulated purchases are also covered for a better understanding of how we use money. 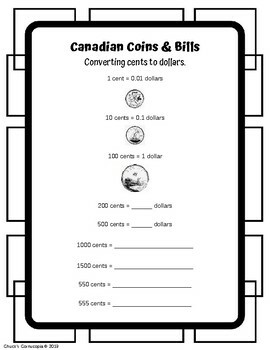 There are worksheets for students to practice adding and subtracting decimal numbers and you will have a grade 3 and grade 4 assessment to assess your students' understanding. As always, please take a look at the preview to see exactly what you will receive with this unit.